In alternating chapters of verse and prose, new girl Lauren and football hero Colby come together, fall apart, and build something stronger than either of them thought possible — something to truly believe in. 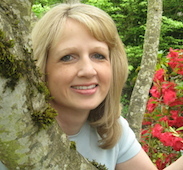 Lisa Schroeder is the author of over a dozen books for kids and teens, including the YA novels I Heart You, You Haunt Me and the middle-grade novels It’s Raining Cupcakes and My Secret Guide to Paris. She loves tea and cookies, flowers, family hikes, books and movies that make her laugh and cry, and sunshine. Living in Oregon, she doesn’t get nearly enough sunshine, but the hikes are amazing. 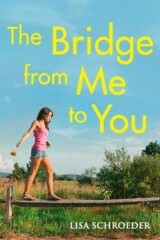 You can visit her online at www.lisaschroederbooks.com or on twitter at @lisa_schroeder. It’s Benny and me, tossing the football around in my front yard, like we’ve done at least a thousand times. but this is the first time we’ve done it before the first day of practice our senior year. Our last chance to bring home a high school championship. I look at my best friend standing across from me, sweat glistening on his muscular black arms, and I know for him, we have to win. Taking state may be the only chance he has at catching a scout’s eye. It’s been a lot easier for me. How can he not hate me for that? It’s like he can read my mind. Maybe that’s what happens when you’ve been best friends for what feels like forever.